In 2016, a partnership was signed with UNICEF to contribute to the prevention of blindness for 1.7 million children before 2019. UNICEF program aims to provide children aged 6 months to 5 years with the two vital vitamin A doses necessary for their proper development, since Vitamin A deficiency is one of the main causes of childhood blindness. 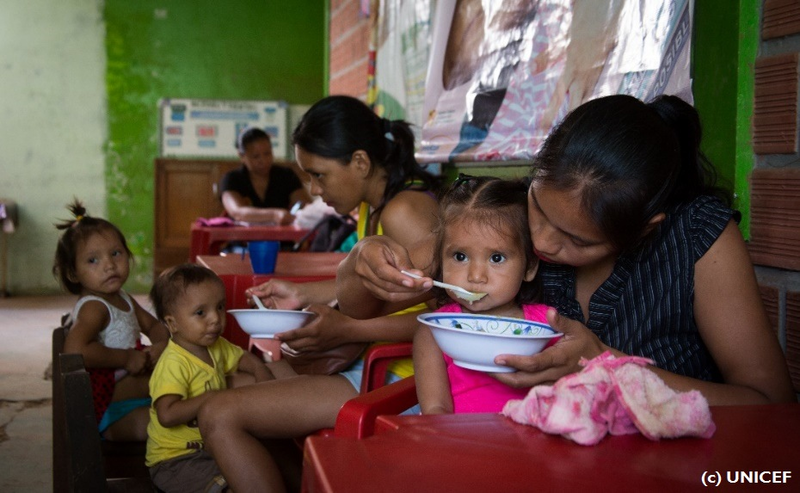 Newborns and toddlers have a high prevalence of Vitamin A deficiency in Bolivia (27% between ages 6-23 months). L'OCCITANE is supporting UNICEF France to help 675,000 children in hard-to-reach areas of the Latin America country. Every morning, Claudia, the nurse, gets up early to prepare food and juices which contain micronutrient supplements; a key strategy to encourage consumption. ‘ Every child has the right to a healthy life, I don’t want to see a child suffer from malnutrition until they die,’ says Claudia. Luckily the number of deaths from malnutrition has been reducing here and childhood blindness is becoming less common, but in a region where there is a high rate of teenage pregnancy, limited job security, and lots of neglect, many children are still at risk. So UNICEF, with the support of L’OCCITANE, is now encouraging training of health care professionals, like Claudia, and developing culturally appropriate communication strategies and campaigns and social mobilization events to improve nutritional practices and encourage Vitamin A consumption.